That baby jacket is adorable! And the booties also, of course 🙂 Definitely sounds like a day to stay in and knit! Thank you. 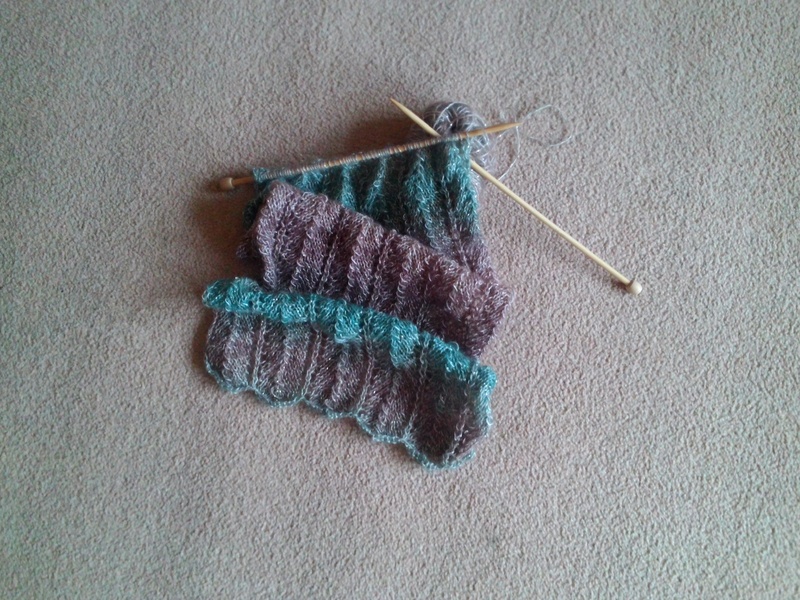 It felt very indulgent just giving in and sitting knitting! This set is so adorable! I love those ruffles!!!! Thank you. The baby arrived tiny size so that ruffly jacket will probably fit her in about 9 months time!